Hillsboro Community Hospital in Hillsboro, Kansas, is one of several EmpowerHMS-affiliated hospitals that is behind on its financial obligations. Hillsboro Community Hospital in Hillsboro, Kansas, paid its employees late twice last month and had a utility check returned for insufficient funds. The hospital now owes more than $28,000 in utility bills. Three EmpowerHMS hospitals in Oklahoma also struggled to make payroll, and the CEO of a fourth hospital in Prague, Oklahoma, resigned amid rumors the hospital may shut its doors. In Ripley, Tennessee, Lauderdale Community Hospital failed to meet payroll for a couple of weeks last month. In De Queen, Arkansas, De Queen Medical Center employees likewise got paid late for months amid a round of layoffs and concerns that the hospital, the only one in the county, would be shuttered. Larry Paine, the city administrator of Hillsboro, Kansas, said Hillsboro Community Hospital’s October utility check of about $10,000 was returned for insufficient funds. That apparently got the attention of EmpowerHMS, which Paine said pledged to make the payment on Thursday. “They said I will be receiving a wire transfer payment for some or all of the utility bills that are outstanding,” Paine said. At the close of business Thursday, no wire transfer had arrived. EmpowerHMS took over Hillsboro Community Hospital in 2017 when it acquired Rural Hospitals of America, which operated rural hospitals in Kansas and Missouri. Hillsboro has about 3,000 residents, and the hospital is one of its largest employers. One of those hospitals, Putnam County Memorial Hospital in Unionville, Missouri, was the subject of a highly critical audit in 2017 by Missouri Auditor Nicole Galloway, who questioned the legality of a lab billing arrangement instituted at the hospital. Since then, some commercial insurers have balked at reimbursing the hospitals. Putnam County Memorial Hospital's board of trustees has since terminated the contract of Perez's group. The group has sued the board and Galloway, alleging the board acted illegally and Galloway overstepped her bounds. Mike Murtha, the president of the National Alliance of Rural Hospitals, which is affiliated with Perez and EmpowerHMS, acknowledged its hospitals were having cash flow difficulties. But in a telephone interview, he said December is always a bad time of year for rural hospitals. “And then you wait until late January and February and you get that money in compensation, and you move forward with your next year,” he said, referring to Medicare and Medicaid reimbursements. At least some of EmpowerHMS’s cash flow difficulties stem from the increasing unwillingness of insurers to enter into contracts with its hospitals. Last year, Blue Cross Blue Shield of Oklahoma dropped EmpowerHMS’s hospitals from its network, citing what it called the questionable lab billing practices at the hospitals. That means the closure of one hospital could have a domino effect, leading to the closure of others. 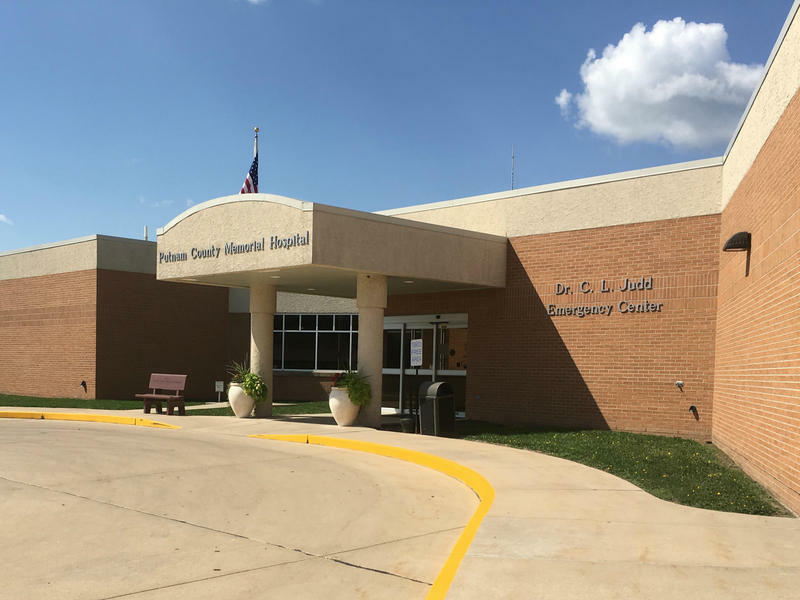 Clarification: The story has been clarified to make it clear that Putnam County Memorial Hospital in Unionville, Missouri, is no longer owned by a group connected to Jorge Perez. This story was updated at 1:47 p.m. and at 3:36 p.m. to include comments from the Putnam County prosecuting attorney and a spokeswoman for Missouri Attorney General Josh Hawley. What began as a routine audit of Putnam County took an extraordinary turn when Missouri state auditors uncovered what appears to be a massive, fraudulent billing scheme in tiny Unionville, Missouri’s lone hospital.